A Wren but which one? Taken 05-Sep-2015 in SE Qld. Has a splash of orange on the rump andon the shoulder. 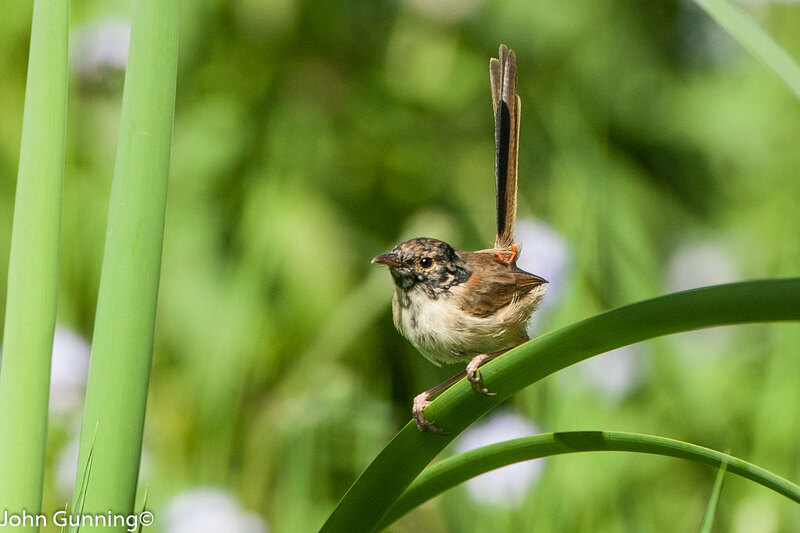 Tail is straight up when perched but quite long and has a black feather at the front of the brown ones. Face markings suggests an immature bird? 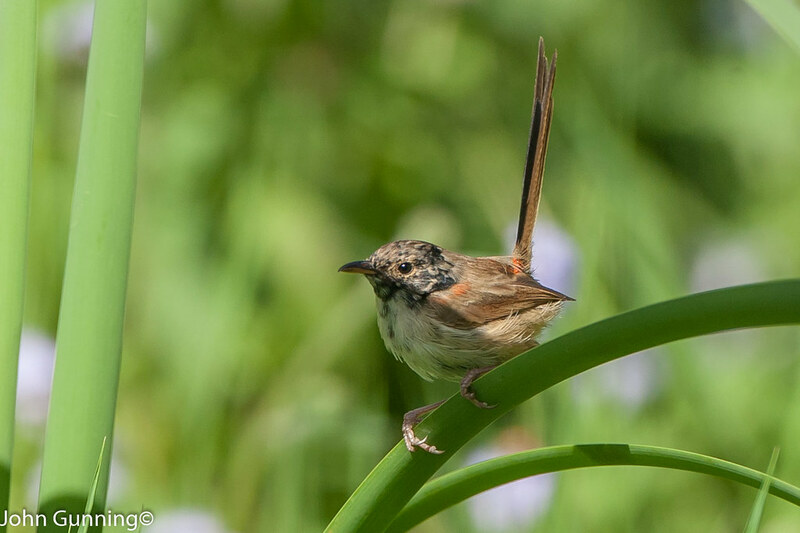 I would say Red Backed Fairy Wren, not sure if it's immature. Thanks for the ID. I should have worked that one out myself.